Toyota Indus is introducing a new hybrid-powered car in Pakistan which will be going to be surprising news for customers to see this newly redesigned Toyota hybrid very soon in the country. The rumors and gossips are on the peak for this stunning new hybrid car and people are highly desirous to buy this tremendous car. Let’s share some secret details about this upcoming best-selling ready to be launched brand new Toyota Hybrid Vehicle in Pakistan. 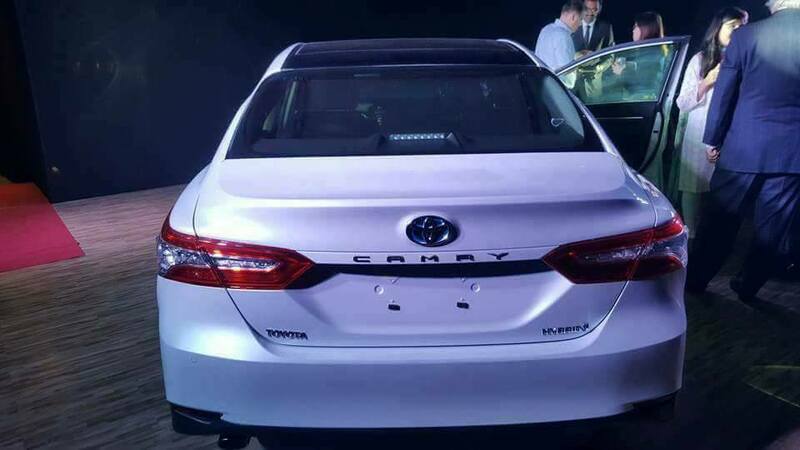 This hidden suspicious Toyota hybrid sedan car is named as “Camry XV 70” which has achieved unbeaten milestone success all over the world and now being launched for the year 2018 in Pakistan. It is an executive class mid-sized premium sedan car which exhibits a true sense of reputation and sophistication with a finest elegant noticeable display. Toyota Camry has always been highly popular with customers all around the world. In Pakistan, it holds a significant value and demand for the people with an elite class luxury lifestyle. It shows a dignified status with a prestigious impression on customers to give them a stunning appeal. 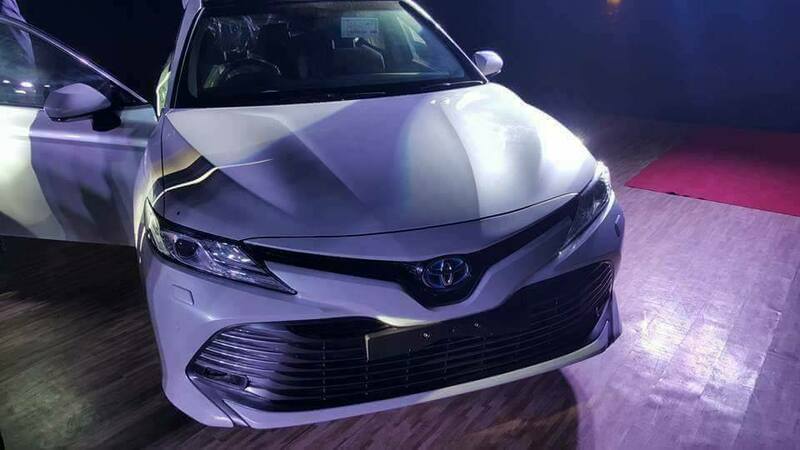 The brand new Toyota Camry hybrid will be a truly sensational sedan car which will give a jolting surprise to all awaited customers in Pakistan. It will come out to be an exciting urban family sedan car which will provide an amazing fun driving journey with all comfort and luxury for customers. This fantastic car will have a wider shape exterior with sleek n shine aerodynamic robust body Toyota new global architecture structure fitted with stylishly dazzling accessories to add more charm and attraction on both front and rear side design. It will be added with large rectangular shaped front LED illuminated headlights, front fog lights, V-shaped front metallic grille, power side mirror, and 18-inches aluminum wheels. The interior design will provide an immense space and comfort with standard five seats for passengers. It will give a captivating decorated inside view with adjustable and reclining down beige n black color leather fabric material seating design. The broad design front dashboard panel will show a fabulous contemporary fancy bold appeal to passengers as well as rear side trunk will provide a wide spacious room for cargo storage loading accommodation. Moreover, it will be coming with multiple varieties of body color choices to select for customers such as attitude black mica, dark blue mica metallic, red, graphite metallic, platinum white pearl mica, silver metallic, and steel bronze metallic. The notably included safety driving features are Toyota Safety Sense P, pre-collision system with pedestrian detection, dual front airbags, electronic stability control, traction control, electronic brake force distribution, Etune sound system, anti-lock braking system, and pretension front seatbelt with load limiter. On the performance, it will be an excellent fuel efficient car perfectly fitted with 2.5 liters of gasoline with 8-speed CVT Automatic transmission as well as 3.5 L V6 engine. The lithium-ion I4 nickel metal hydride battery will add increased power for a better speed seamless driving journey experience. The New 4-door right-hand Camry Hybrid Sedan will certainly bring a dynamic revolution with its futuristic design, high strength rigid body, and powerful hybrid engine performance. It will certainly be a smart choice decision for everyone to buy this perfect family sedan car to give them an ultimate on-road driving journey pleasure.